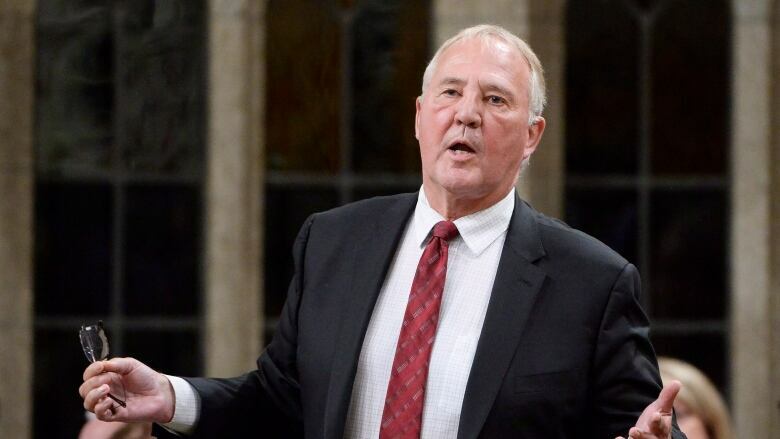 Confusion over the number of irregular migrants that have been removed from Canada led to an apology Monday from Border Security Minister Bill Blair — and attracted fresh calls from Opposition MPs for more action to address ongoing border woes. Over the weekend, Blair created a hornet's nest of criticism when he told Global News in an interview that the "overwhelming majority" of asylum seekers who have crossed irregularly into Canada over the last 21 months have left the country. But the government's own numbers tell a different story. Baloney Meter: Is flow of asylum seekers at Canada-U.S. border a 'crisis'? How are Canadian attitudes towards immigration changing? I was referring to a small cohort of asylum seekers who were found to be ineligible and left. I clearly misspoke in suggesting the majority who arrived last year have left. They have not. They await disposition of their claim. Sorry for the obvious confusion that I caused. Blair issued an apology Monday afternoon, saying he "clearly misspoke" when he said the majority of asylum seekers have left the country. "They have not. They await disposition of their claim. Sorry for the obvious confusion that I caused," he said. Later, he explained to reporters that he was trying to explain a different point, but that he "did so inadequately" and immediately took steps to clarify his remarks and apologize, first in a tweet on Sunday and later in the formal statement issued Monday afternoon. As for why the number of removals remains so low, Blair said that border officials can only remove failed refugee claimants after they have exhausted all legal options available to try for refugee status. These options include applications to the Immigration and Refugee Board, appeals and other administrative measures. "They've made application and are entitled to due process," Blair said. "Only upon the conclusion of all of those processes can steps then be taken to remove those individuals that are not eligible. That's what I was trying to explain but did so poorly on Friday." Conservative immigration critic Michelle Rempel says she believes the numbers suggest Canada's asylum system is being heavily backlogged by people who are not legitimate refugees. The extensive processing backlog that exists for refugee claims is creating an incentive for people looking to take advantage of Canada's refugee system, knowing they could wait an average of 20 months before their refugee claims are processed, Rempel says. "In a properly functioning asylum system, we should be prioritizing the world's most vulnerable, we should be processing asylum claims quickly and then removing people who don't have a legal reason to be in Canada," Rempel said. "The fact that even those that have been processed and don't have a valid reason to be in Canada have not been removed is something that is concerning, because Canadians are footing the bill for them being in Canada." "It's almost been two years, and to this day government has been dealing with it, in my view, with a very ad hoc, reactionary approach and that clearly is not good enough," she said. "The longer they refuse to act, the more they allow for those who want to fan division and fear to continue and that is bad for all of us." The government has earmarked $74 million over the next two years to allow the arm's length board that processes refugee claims to hire more staff to help speed up finalizations of irregular migrant claims. In addition, the government has been working with consulates and embassies in the U.S. and has sent officials to Nigeria — where the majority of asylum seekers are coming from this year — to try to get the message out that entering Canada irregularly is "not a free ticket" into the country.